Superdry men’s Eco Fuji jacket. Part of the core range, this lightweight jacket has thermal properties, making it the perfect thing to wear to and from the gym. 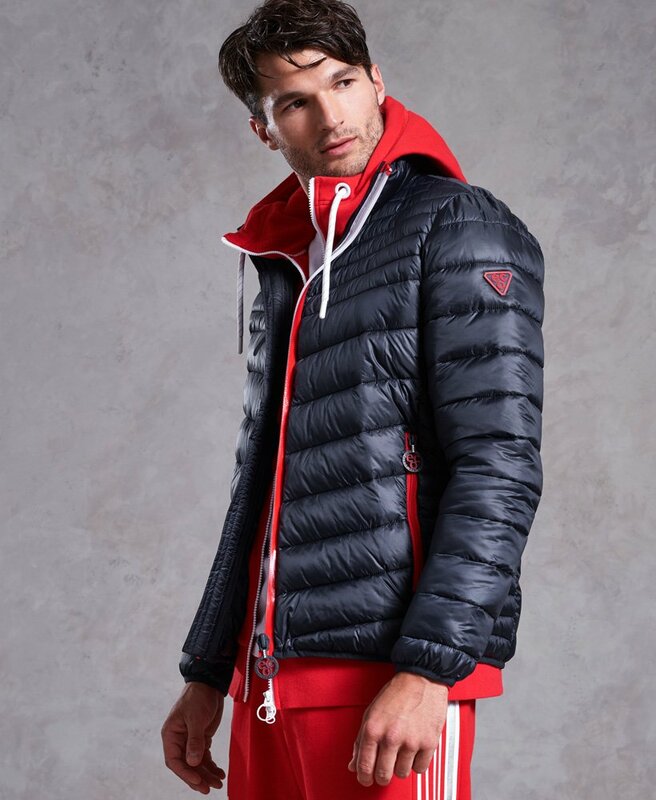 The jacket features an all over quilted design, two front zipped pockets and zipped fastening. The Eco Fuji jacket is finished with Superdry Sport badges on the arms and Eco logo zip pulls.